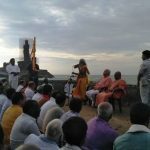 Kanyakumari July 09, 2017: After 5 years, 1797 days of walkathon for 23,100 Kilometers in 2350 villages of 23 states, RSS Former functionary Sitaram Kedilaya lead Bharat Parikrama Yatra concluded at Kanyakumari sea shore, the southern tip of Bharat, on the auspicious day of Gurupoornima. 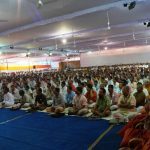 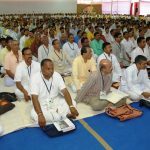 RSS Sarasanghachalak Dr Mohan Bhagwat, RSS Sahsarakaryavah Dattatreya Hosabale, RSS national functionaries Ajith Mahapatra, Kajampady Subramanya Bhat and many others attended the valedictory ceremony. 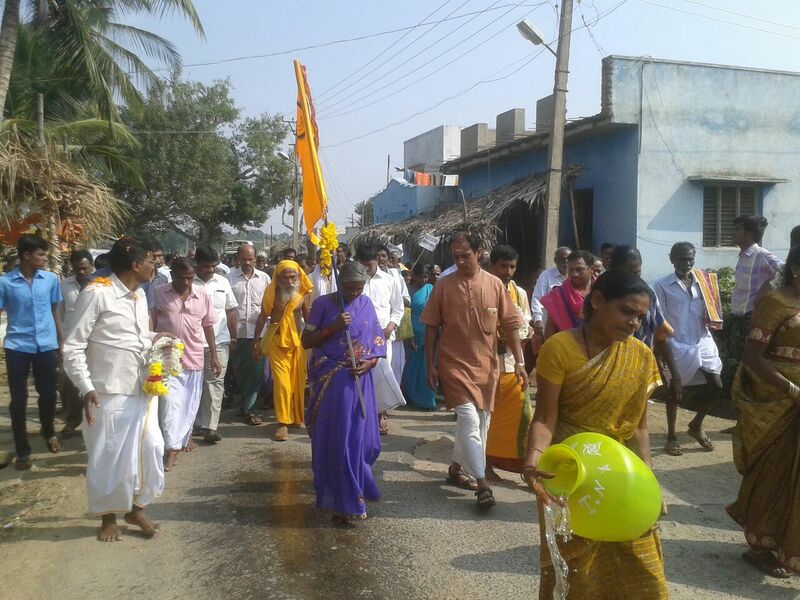 Bharat Parikrama Yatra was began on August 09, 2012 on Srikrishna Janmashtami Day from Kanyakumari. 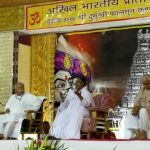 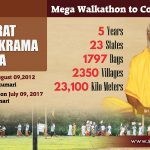 After almost 5years, Bharat Parikrama Yatra was concluded at the same point from where the mega walkathon started in 2012. 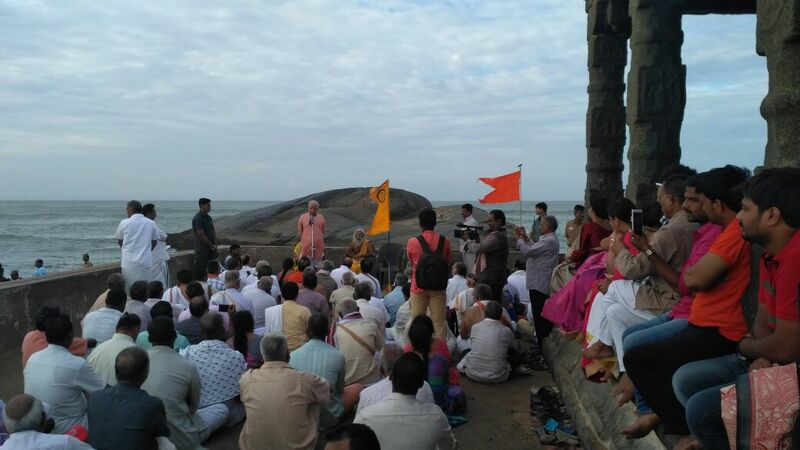 Yesterday on Saturday July 08th Bharat Parikrama Yatra reached Kanyakumari’s Vivekananda Memorial. 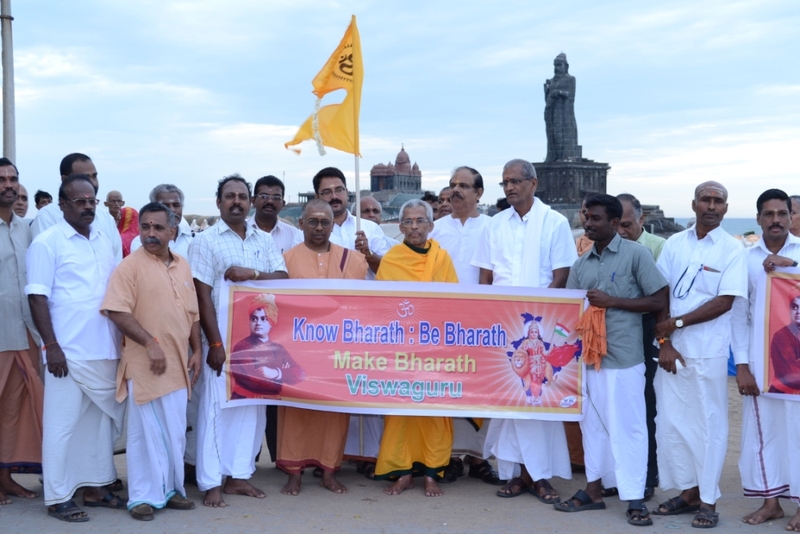 Today, Sunday July 09th morning at 4.00 am Bharat Parikrama Yatra’s Final walkathon was held from Vivekananda Memorial to Kanyakumari Temple. 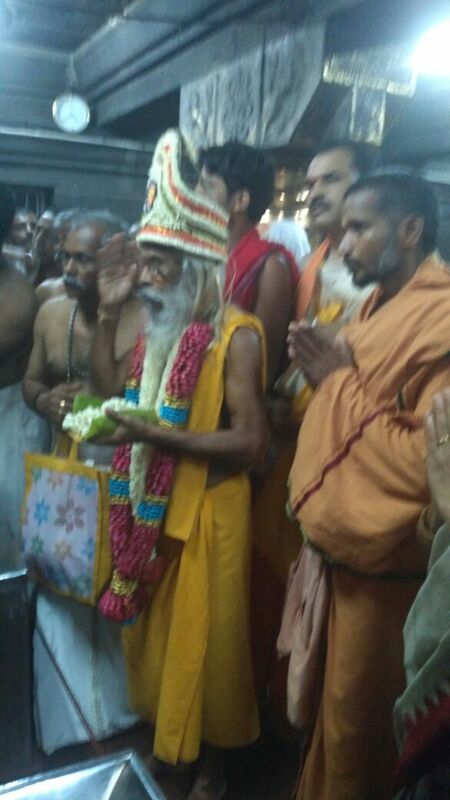 After this a special Parikrama (Pradakshinam) was held to the Temple followed with Nairmalya Darshanam. 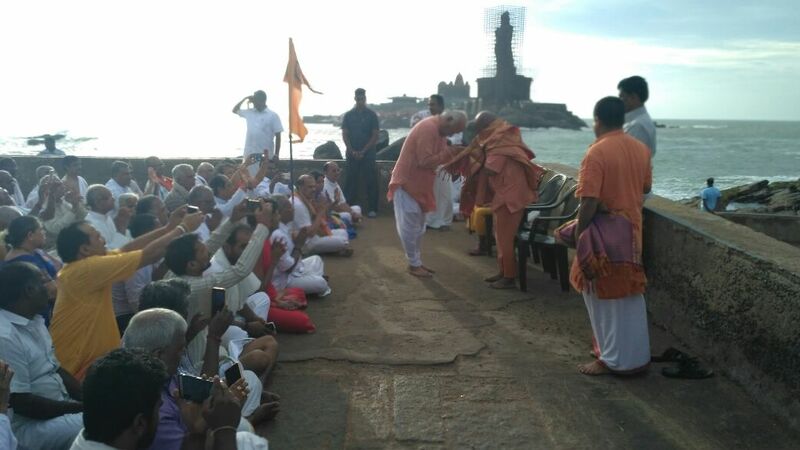 Sitarama Kedilaya then moved to Sea Shore, the southern tip of Bharat, where a special prayer was offered followed with Dhwajaavataranam. 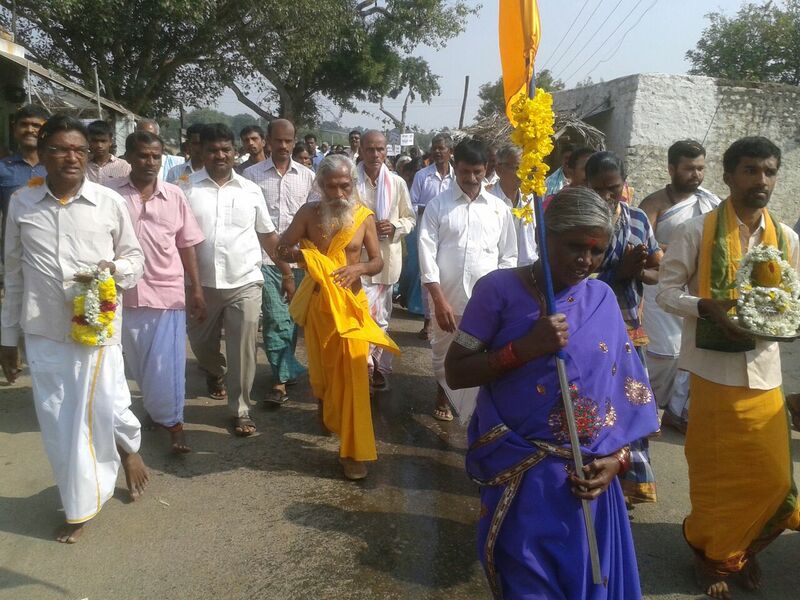 Later, Sitarama Kedilaya to thanked everyone who supported his Yatra. 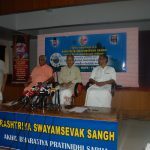 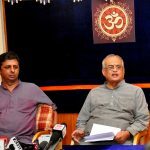 Sitarama Kedilaya had earlier thanked Vishwa Samvada Kendra Karnataka for its regular updates of Bharat Parikrama Yatra on Social Media, www.samvada.org, and updates in mainstream media, since its beginning till the valedictory. 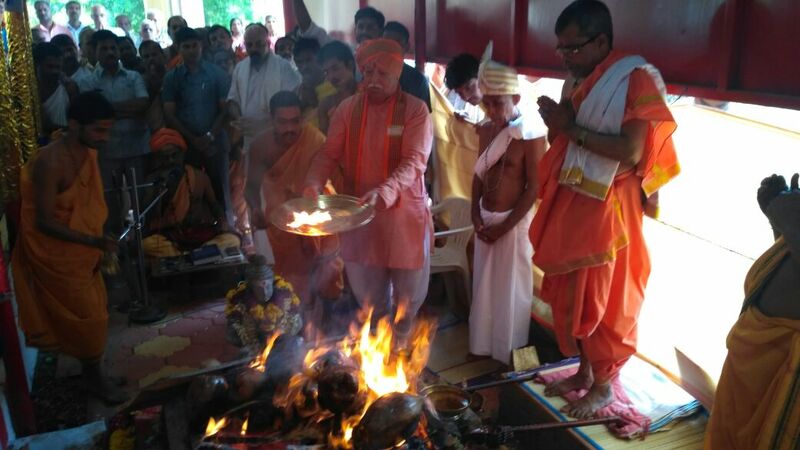 At noon, a special Yajnam named ‘Vishwajigeeshu Yaag’was performed which is first of its kind, praying to make Bharat a Vishwaguru. 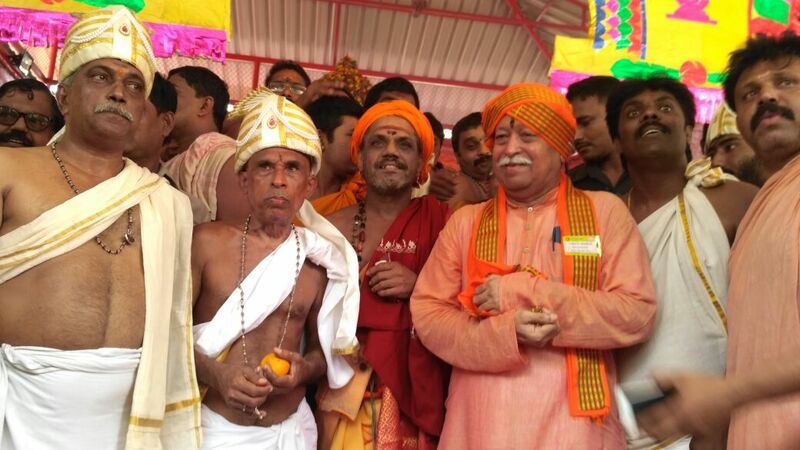 The poornahuti of the Yaag was performed by RSS Sarasanghachalak Dr Mohan Bhagwat. 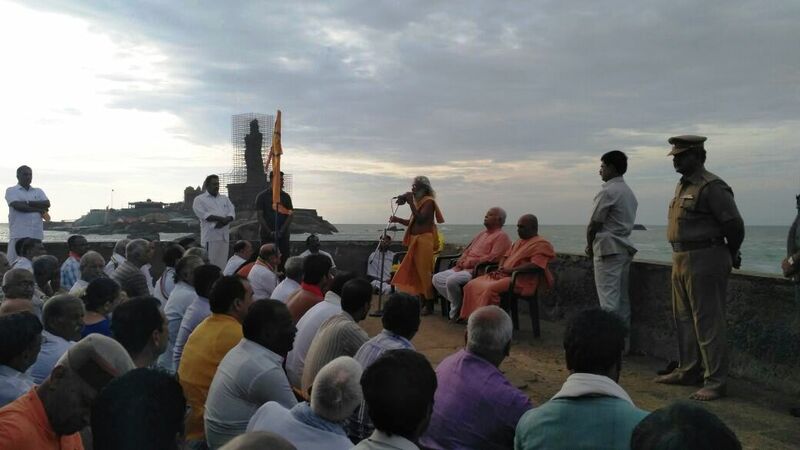 In the evening, at 4.00pm a public valedectory ceremony was held at Nagarcoil city, in which RSS Sarasanghachalak Dr Mohan Bhagwat, Sahsarakaryavah Dattatreya Hosabale, noted Film Stars, Poets, Socio-religious leaders participated. 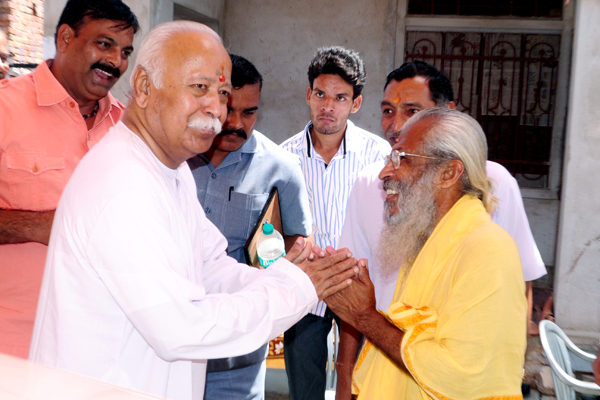 RSS Sarasanghachalak Dr Mohan Bhagwat joined Bharat Parikrama Yatra on September 08, 2013 at Seekar district of Rajasthan. 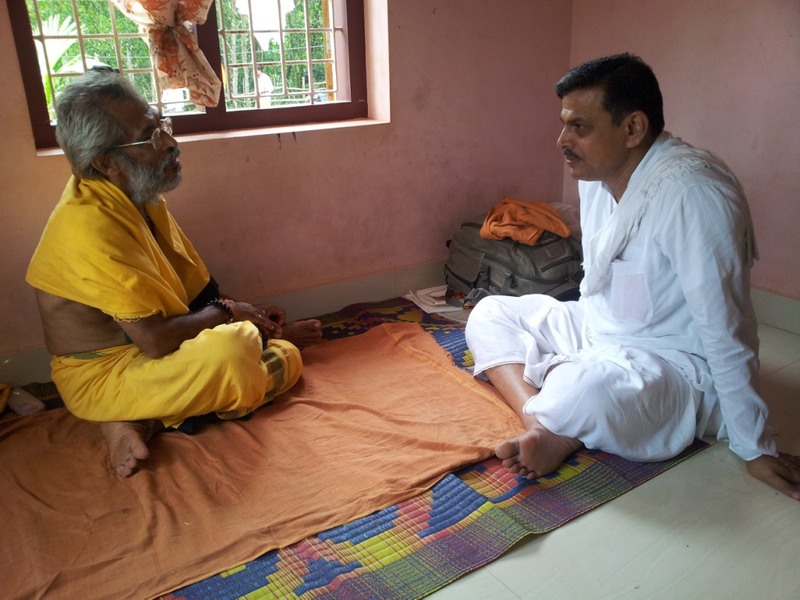 RSS Sahsarakaryavah Dattatreya Hosabale met Sitarama Kedilaya during Bharat Parikrama Yatra on October 14, 2012 at Kasaragod. 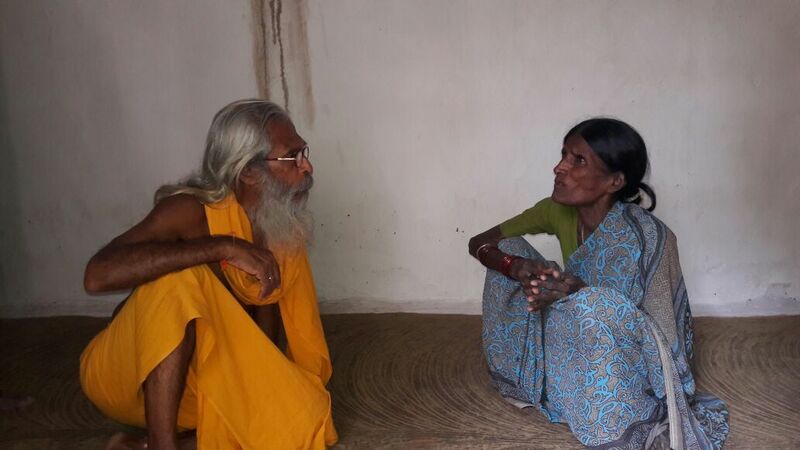 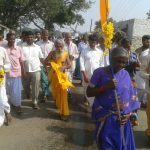 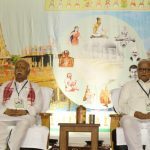 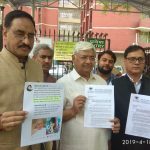 Elaborating on the yatra, 68year old Sitarama Kedilaya said that a span of about 10 kilo metres will be covered on a daily basis by foot, after which he will take rest in the village that falls in the vicinity. 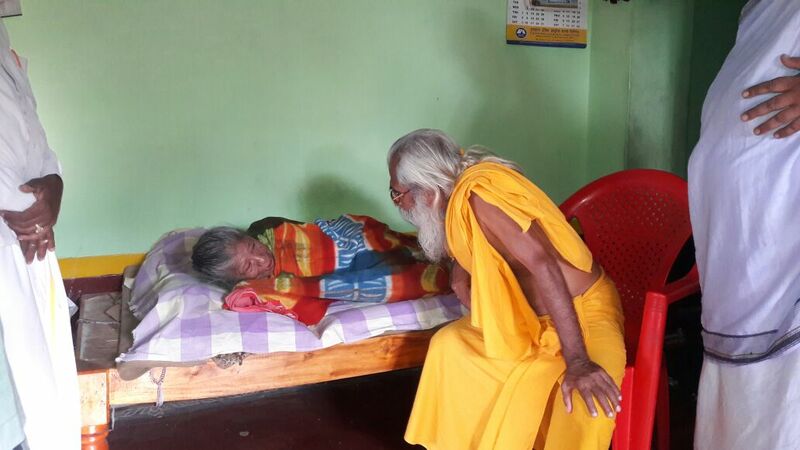 The primary task he has to undertake will be to get in touch with the youth and the prominent members of the village and discuss important issues like care of sick. 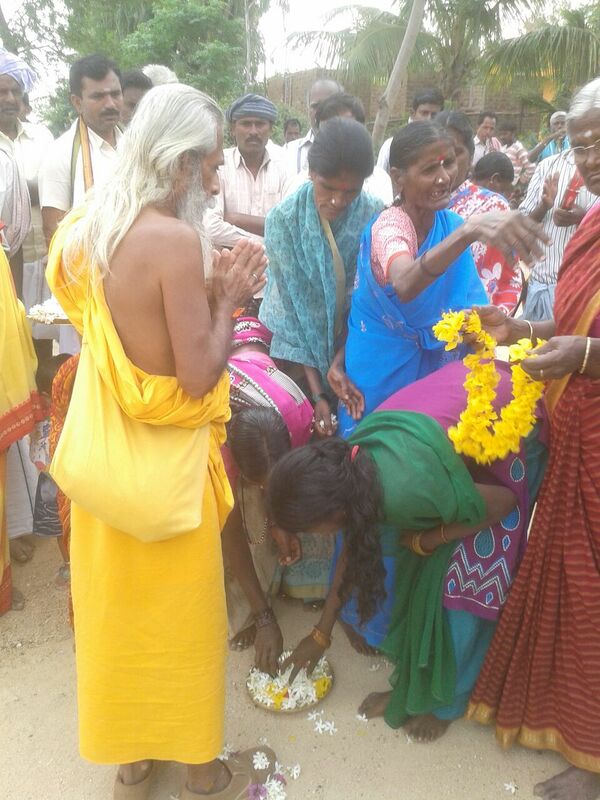 This will include the handicapped, blind etc. 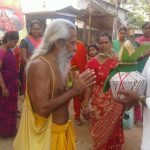 Other activities like taking a round of the entire village and engaging in a collective session of prayer at the village temple. 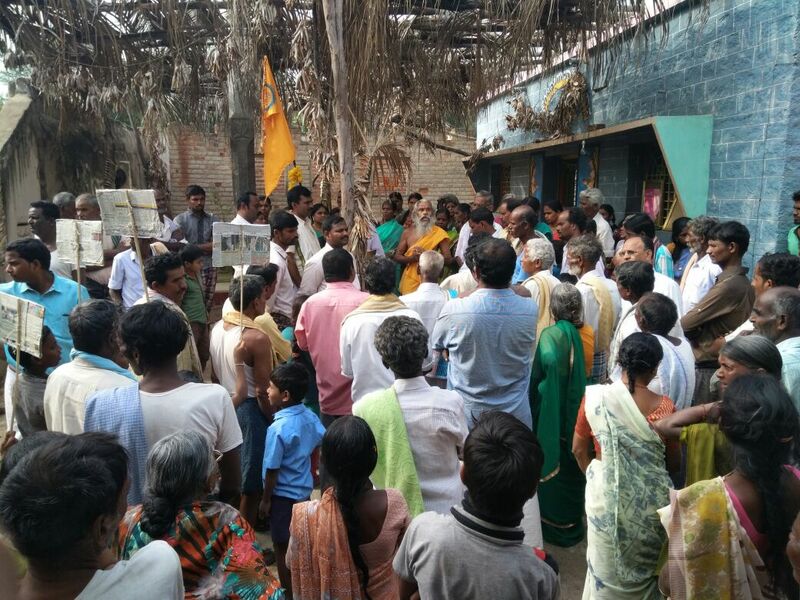 This will help create a bond of great depth with the people, which will help the villagers realize that villages were, once upon a time, a single encompassing family. 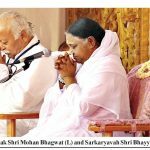 However, this feeling has taken a back seat now, which has led to a whole lot of problems everywhere. 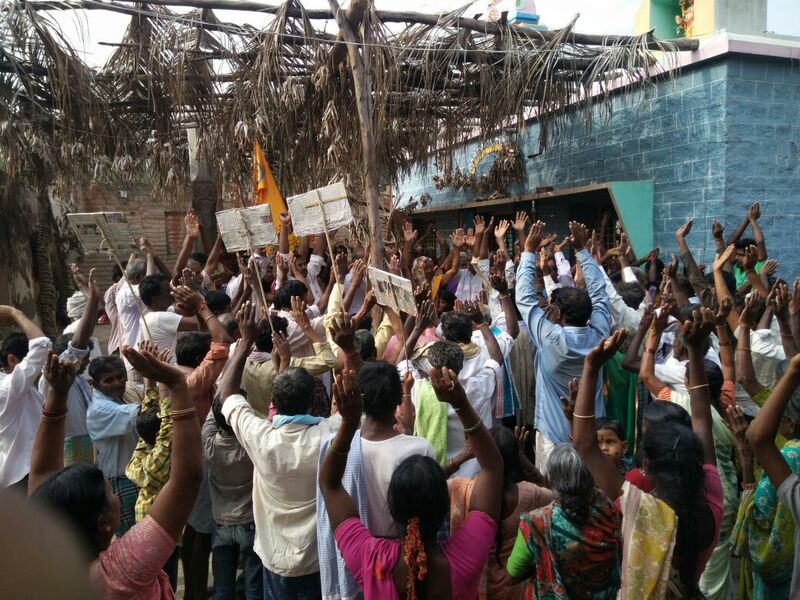 This has now escalated to national and international levels. 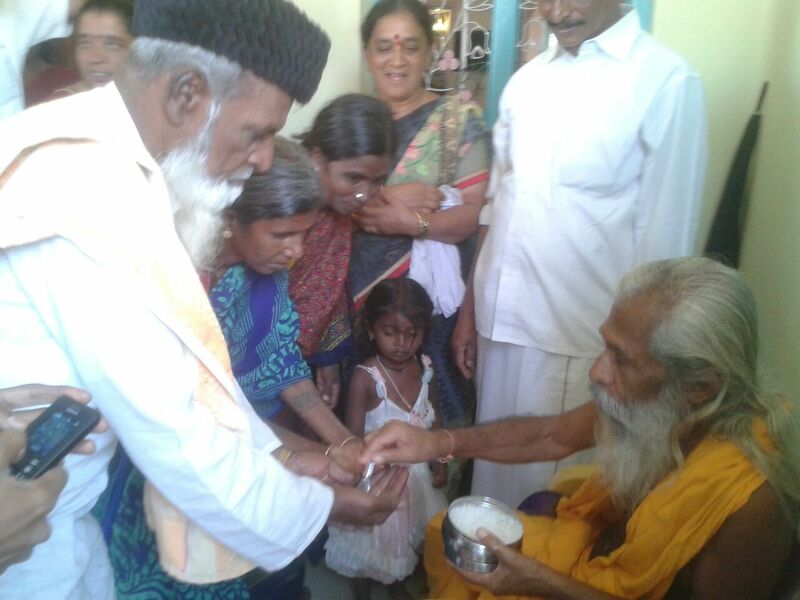 The feeling of unity, along with creation of family bonds, if brought back to villages will ensure restoration of harmony to a great extent. 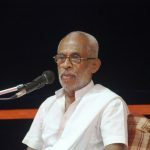 This could be instrumental in the rekindling of the concept of ‘Vasudha Eva Kudumbakam’. 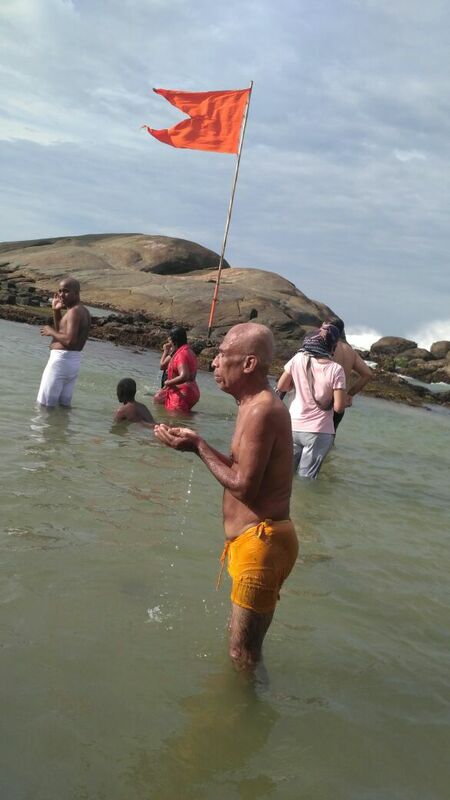 And then, the journey will resume to the next village. 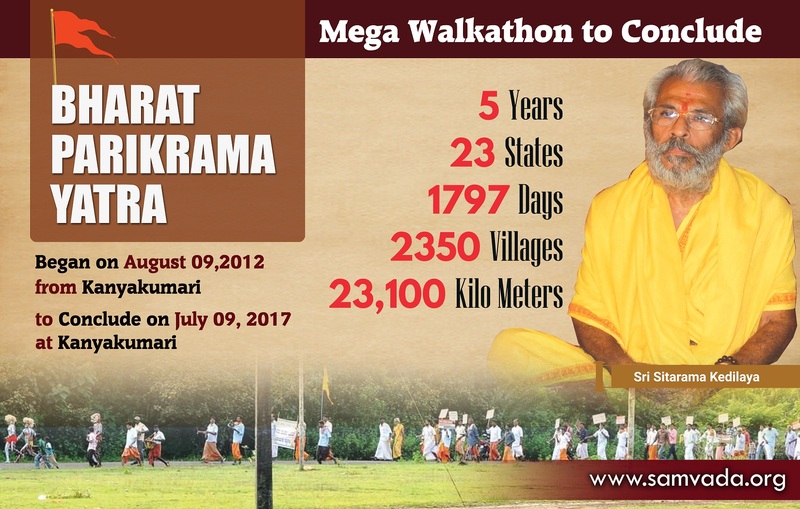 DAY-1 : Bhagat Parikrama Yatra was launched from Kanyakumari on August 09, 2012.